Getting around total depravity, the supreme sovereignty of God, and the "age of accountability" question is easy. 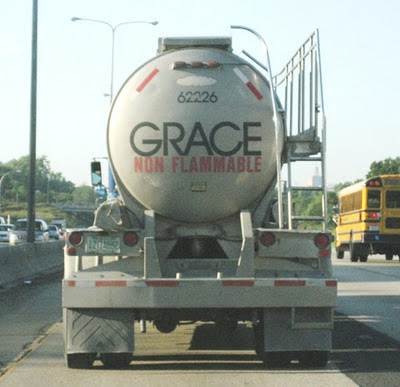 Simply deny original sin. You can always tell when someone has recently stumbled across the theology of Calvinism. They tend to lash out with the tired, old "God is the author of evil" and "Calvin murdered Servetus" arguments, as if they were the first ones to use them. Come on, people. Can't we at least try to be original? John Piper preaches on "The Free Will of the Wind." As we mark the 500th anniversary of John Calvin's birth, R. C. Sproul Jr. reminds us that "all our heroes save one had feet of clay." Viewing Calvin at the bottom of a deep well. Writes David Daniels, "Despite the current Calvinistic resurgence, many contemporary Christians cringe at the thought of wading through the finely-honed theology of a Jonathan Edwards or John Owen. Banner of Truth is taking aim at this reticence to encounter the Puritans by introducing us to their carefully crafted summaries of significant Puritan titles." Because of our belief in God's foreordination, we Calvinists are often accused by Arminians of being deterministic. They would much rather focus on God's foreknowledge. However, as Steve at Triablogue notes, this presents Arminians with a dilemma because "even though foreknowledge doesn't actually determine the future, foreknowledge does assume the future is determinate. If God knows the future, then the future cannot be otherwise." Irish Calvinist on the essence of the Christian message. Thanks for sharing these links with us. I found it interesting that the author of the first piece seemed to regard the Doctrine of Original Sin as solely a Calvinistic notion. 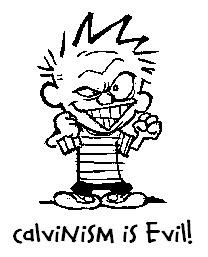 I have a love/hate relationship with your "This Week in Calvinism" posts. I mean, on the one hand, they are very interesting and often point me in wonderful directions. On the other hand, though, there are always the dudes like those in the first two bullets of this post. The ignorance is enough to make a guy want to weep; but every week it's the SAME ignorance, repeated over and over. It's like there's a hot-dog stand somewhere that's passing out free non sequitors and ad hominems with every foot-long. And business is booming! Yowza!